Remember that bachelorette party I went to in February? 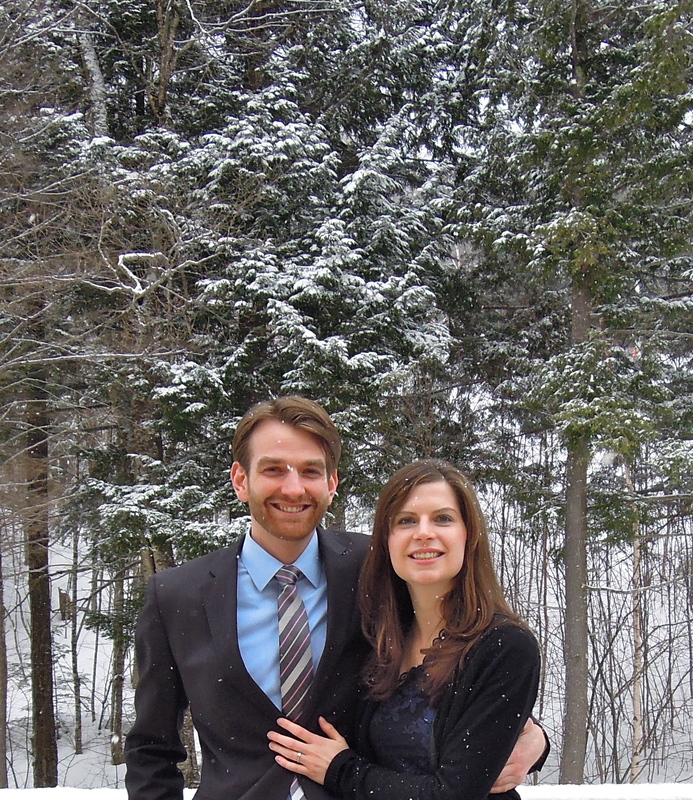 Elsbeth and Dave got married in Maine on March 22, 2014. 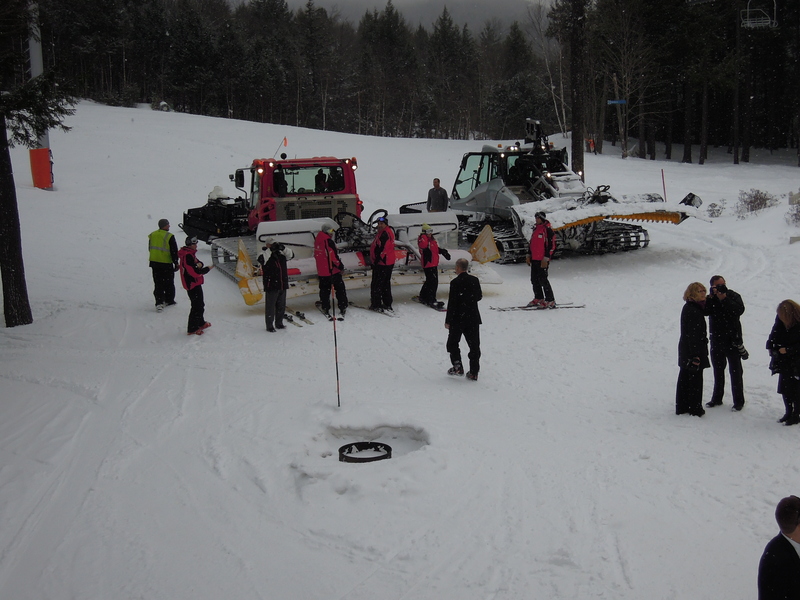 The reception was held at Sunday River and we all stayed at The Grand Summit hotel for the weekend. 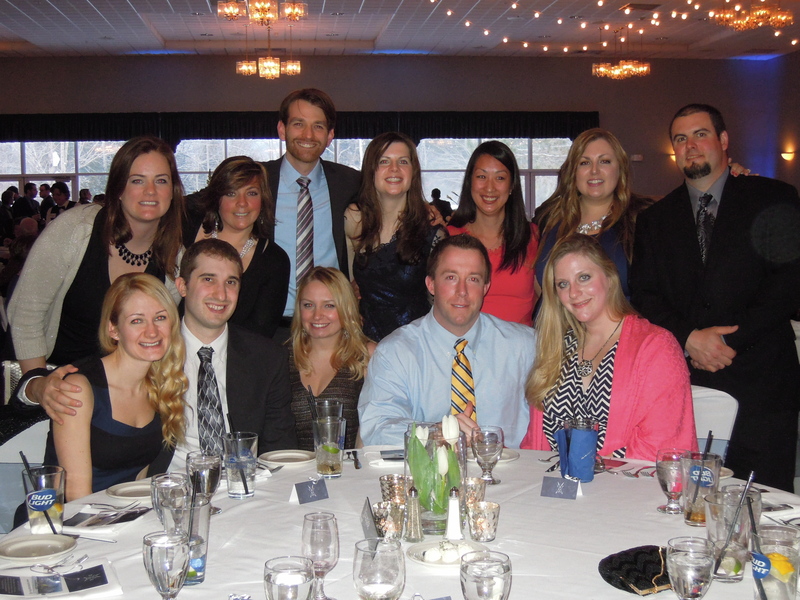 We had a nice weekend spending time with good friends, going to the beautiful wedding, and getting in some skiing! 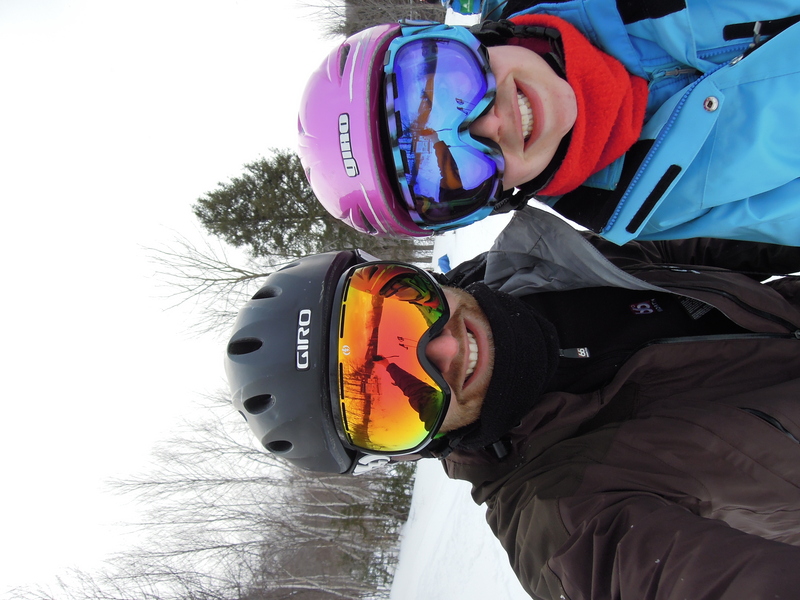 I’m an awful skier and have always been terrified of it. My parents forced me to learn it growing up in New England and I’m very happy they did because even though I’m slow, I can still participate in it. 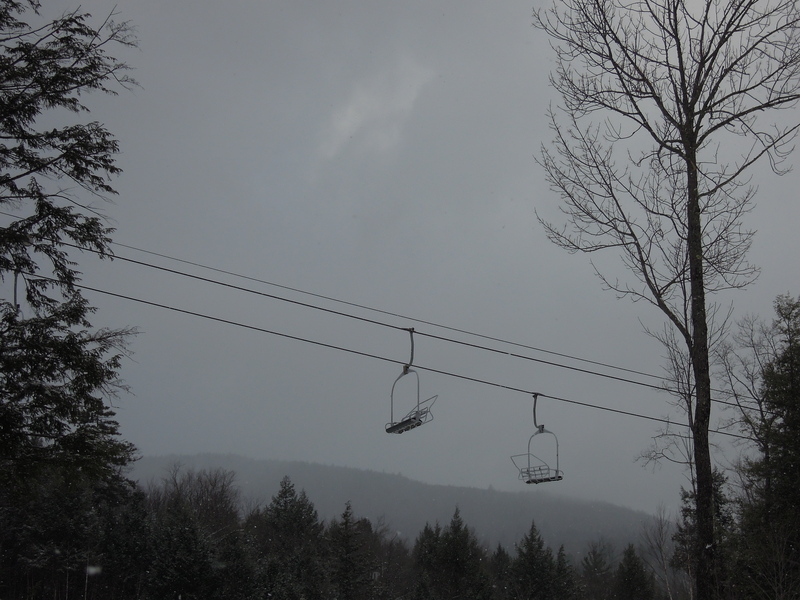 The awesome thing about the hotel we were staying at is that there’s a chair lift right outside the hotel. You don’t need to pack up a car full of ski gear in order to get to the mountain which makes everything so much less of a production and enjoyable. Dinner with friends in the hotel at CAMP. 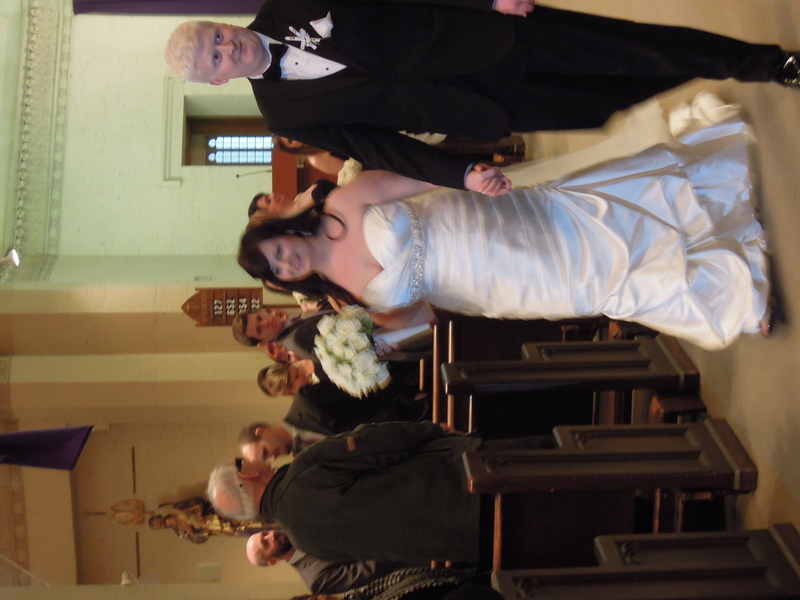 It was so nice for the couple to provide complimentary shuttle service for their guests. 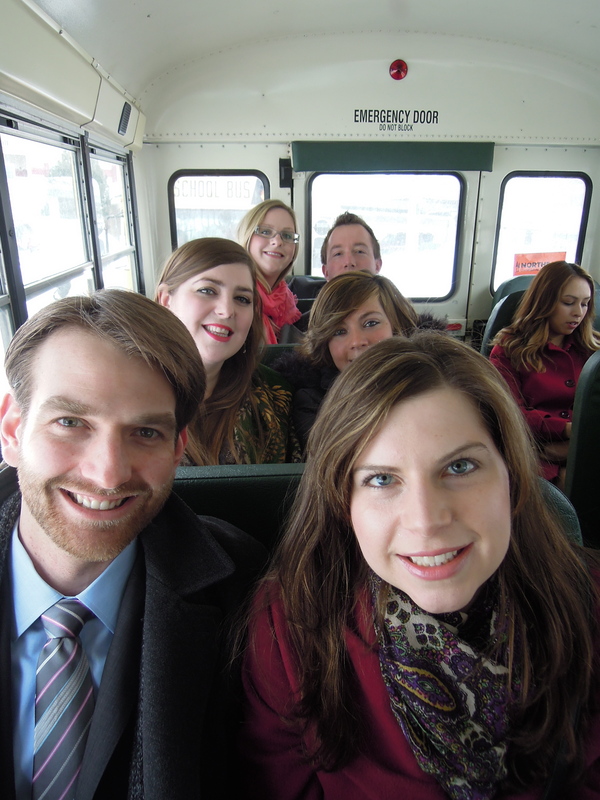 We all hopped on a school bus on the way to the Church for Elsbeth & Dave’s vow exchange. 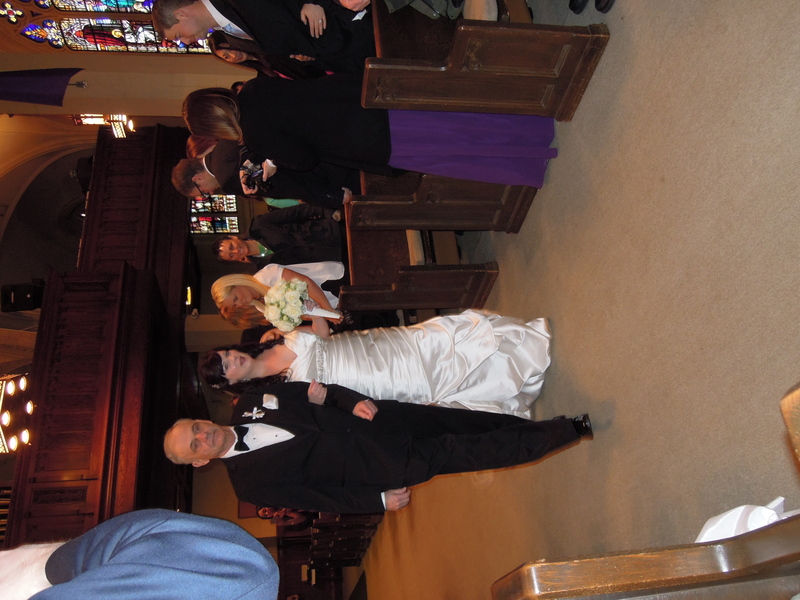 I tried to snap some pictures of the bride & groom walking down the aisle, but everything came out blurry. Does anyone have tips for snapping clear motion pictures on a camera? Sorry for the poor picture quality. This was taken with a real camera too (aka not an iphone). 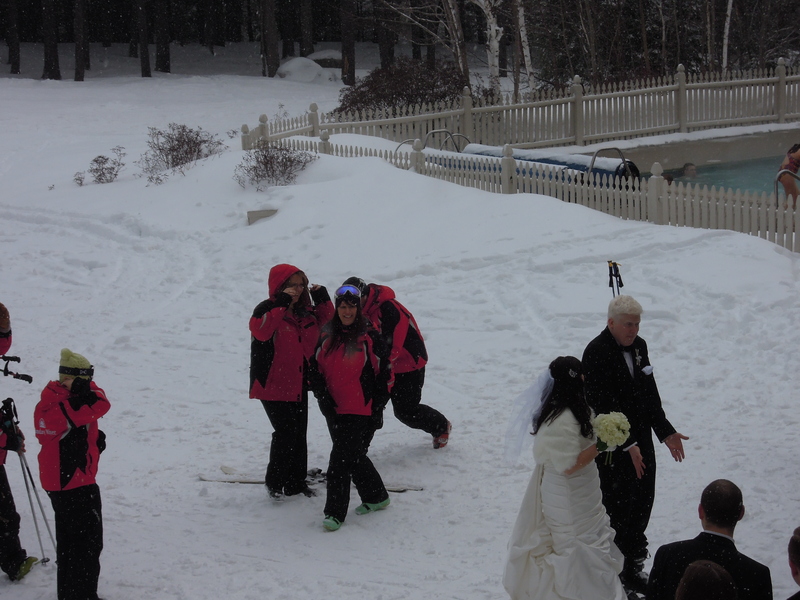 After the vows were exchanged at the church, we returned to the hotel where the couple did a ski entrance outside in their wedding clothes. It was so cute and impressive that the bride did this in her wedding gown! We watched the ski entrance from a deck outside the hotel which was a perfect photo location. I didn’t wear a coat solely to get a picture in our nice clothes instead of the same winter coat I’m always wearing. A picture of the three Daves. 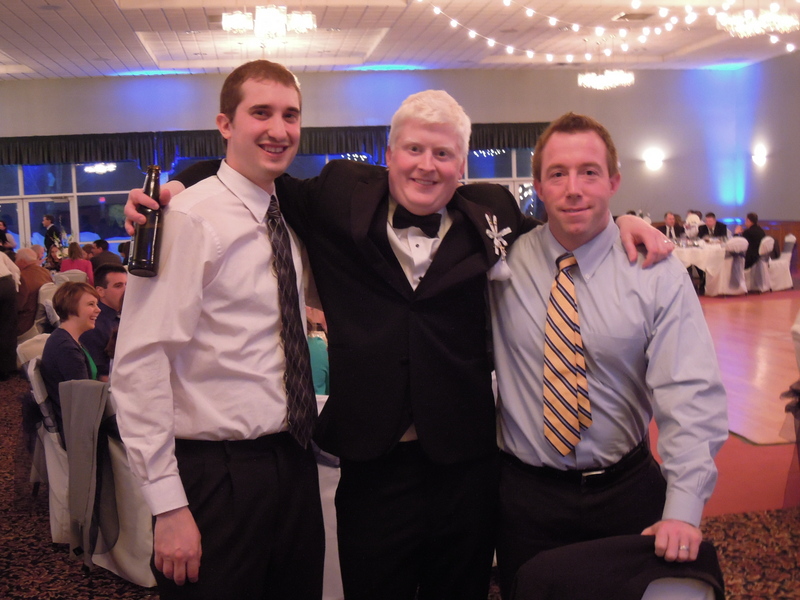 One of my friends is engaged to a David (on the left) and my other two friends are married to Daves. Post cocktail hour and before dinner. Party time! 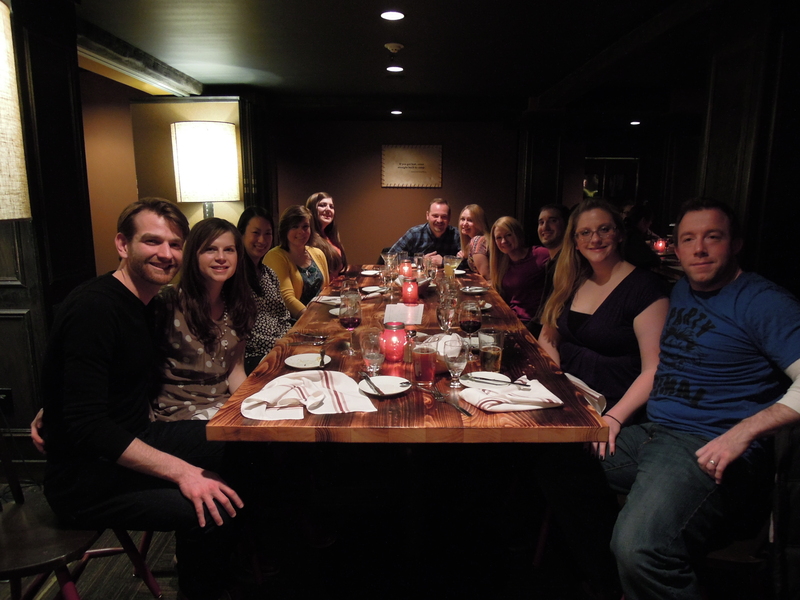 We all had a fun time celebrating the night away. Cheers to Elsbeth & Dave.